In this completely redesigned follow-up to the successful Building A Dream, readers will get a look at the architecture and the ideas and stories behind the structures which have been designed by some of the most renowned contemporary architects--Robert Venturi, Robert A. M. Stern, Arata Isozaki, Frank Gehry, Aldo Rossi, and Michael. Disney has set new standards for postmodern architecture and has become one of its leading patrons anywhere in the world. 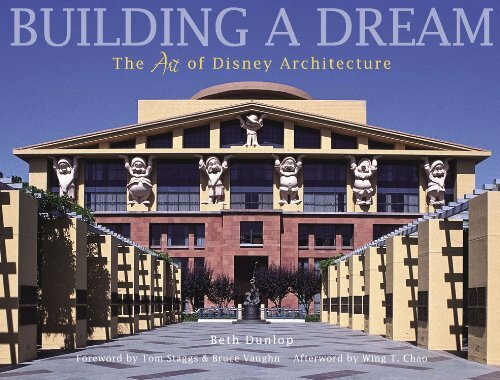 The resulting projects, which include quirky, fantastic theme parks, hotels, resorts, movie studios, and offices, are evidence of how Disney's long-standing use of popular, often surreal, imagery and iconography has been absorbed into the architects' styles. This stunning oversize and collectible volume will feature original architectural drawings and superb color photographs of the projects alongside an expertly written text that incorporates extensive interviews with the architects and executives involved.